One of the staples of the Man Up ministry over the years has been the mission trips we take. 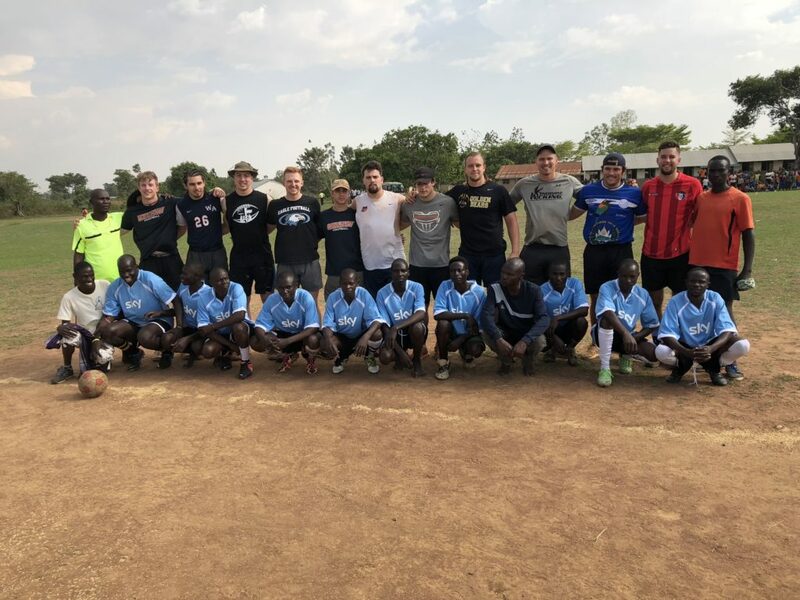 We’re convinced our trips are like no other – high energy, lots of guys who love Jesus, highly relational (versus task-driven) – and for the last two years, we’ve upped the ante by partnering with the Wheaton College (IL) football team. Wheaton College is historically recognized as one of the best Christian colleges in America. Often dubbed the “Christian Harvard,” Wheaton has a long history of producing difference-makers for Jesus, including folks like Billy Graham, John Piper, Josh McDowell, William Lane Craig, John Ortberg, AW Tozer, Jim Elliott, Philip Yancey, among others. The football is also pretty good, as this NCAA Division III school consistently puts out highly ranked teams despite having such strict academic standards. 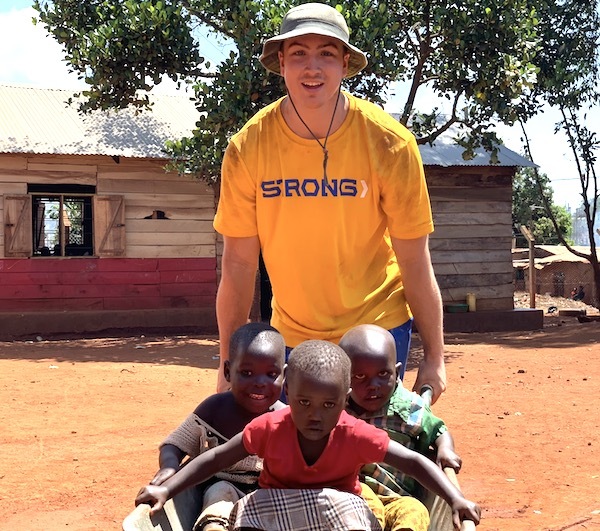 In 2000, Wheaton Football launched Wheaton Football Ministry Partners (WFMP), which sought to send Wheaton footballers on Spring Break mission trips instead of the typical debauchery you see with many college students. 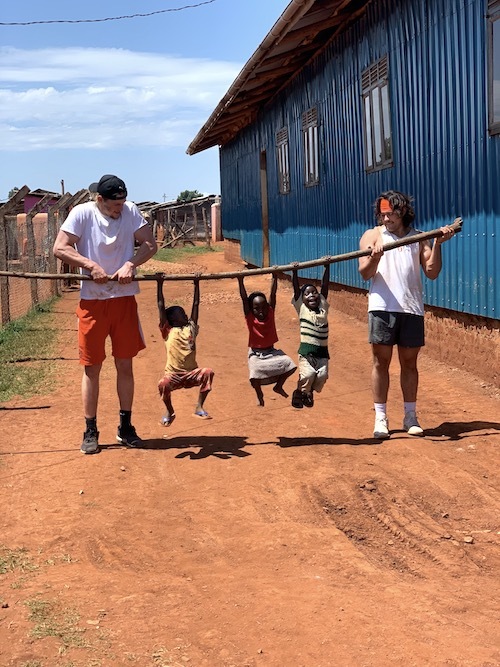 The program has grown since then, and now sees as many as 90-100 team members spend Spring Break serving with former Wheaton College football players. 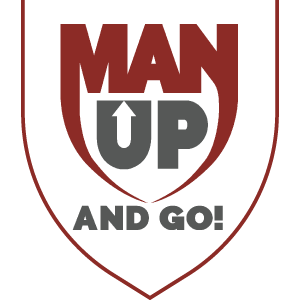 Last year Man Up hosted their first WFMP team, and it went so well they sent another team to Uganda last month. As per usual, the team spent much of its time building relationships and furthering the Man Up essence with the children, men, and women we serve year-round. These men – highly mature compared to their peers – had an incredible week of serving and connecting with our partners. It was a strong win for Wheaton Football and a strong win for Man Up and our partners. 4 of the men chose to sponsor children in our sponsorship program as well – unbelievable! We’re so proud to partner with WFMP and believe this trip serves to bolster Man Up’s presence in the region.